A rather cunning installation of Czech National Hockey Team Jerseys at Wenceslas Square in Prague. Don’t know how long they are planning to have it displayed but the weather forecast for this mid January weekend is expecting the temperatures to rise up to +10 °C (50 °F). 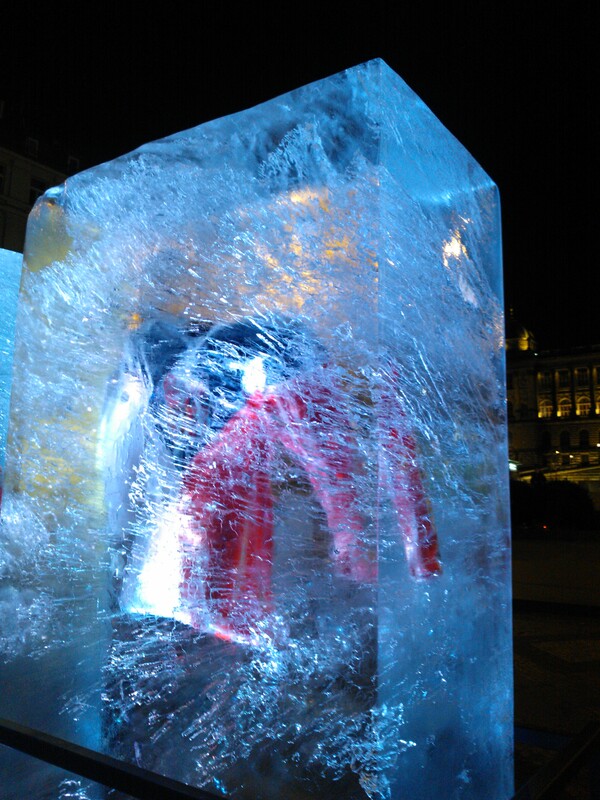 This entry was posted in Life/Photography and tagged Czech Republic, Display, Exhibition, Frozen, Hockey, Hockey Jersey, Hockey Team, Ice, Ice Block, Ice Cube, Prague. Bookmark the permalink.